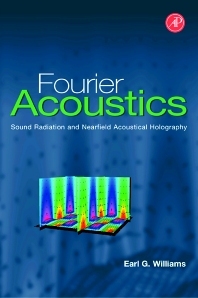 Relying little on material outside the book, Fourier Acoustics will be invaluable as a graduate level text as well as a reference for researchers in academia and industry. The book is unique amongst acoustics texts, it is well illustrated and it includes exercises to enforce the theory. Preface. Fourier Transforms & Special Functions. Plane Waves. The Inverse Problem: Planar NAH. Cylindrical Waves. The Inverse Problem: Cylindrical NAH. Spherical Waves. Spherical NAH. Green Functions & the Helmholtz Integral. Index.